I was honoured to be invited to speak at this conference in the MISiS university in Moscow. For this conference, I did a mini research project on learner attitudes towards L2 speaker teachers when it comes to pronunciation teaching. You can see the presentation slides with some of the results here. This October, I took part in ELT Ireland’s ELTed event. The event brings ELT teachers, managers, writers and more together to share ideas. The talks are 12 minutes long followed by a couple of minutes for questions. For this event, I decided to give some practical ideas to practise pronunciation that require little preparation and no paper. To watch my talk, click here. Since I first went to IATEFL in 2014, interest in pronunciation seems to keep growing and growing, and this year was no different. This week marked my second time to present at the Annual IATEFL Conference and I was only too delighted to take part in PronSIG Day. This time I decided to give a workshop which meant I could present some ideas and then give a task to the delegates to complete using the principles I described. The task involved designing a board game to practise and support their learners’ pronunciation needs. You can find the presentation slides here. The day started with smiles, hugs, and laughter as delegates and speakers met in the entrance and exhibition hall. ELT Ireland should be so proud of what they have achieved; their dream of building a buzzing network for ELT practitioners in Ireland has come true. All of their hard work has paid off and I only wish I’d filmed the excitement of old friends meeting and new friends in the making. It truly was such a successful day and we have another day to look forward to tomorrow. For me, witnessing the build up of the buzz this morning only put me at ease and made me look forward to my talk. 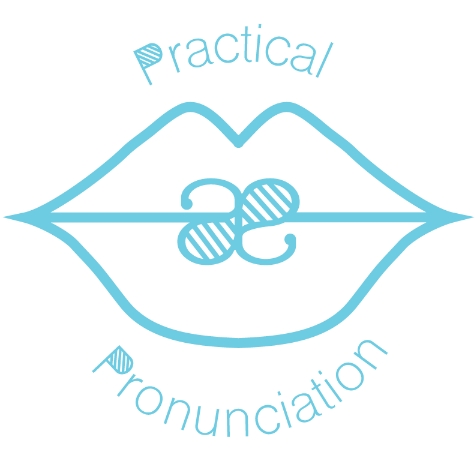 Today I spoke about making pronunciation fun and I’ve shared the presentation slides below. Most of the games I spoke about are available to download here on this website and over the coming week I’ll be adding more resources. Thank you so much to everyone who came to my talk today and I hope you got something out of it. IATEFL 2016 marked my first time speaking at an IATEFL event. I thoroughly enjoyed the experience, so much so that I have submitted another speaker proposal for IATEFL 2017. It was a huge learning curve in terms of presenting and great for building confidence. You can find the slides of my presentation on designing pronunciation worksheets to supplement your coursebook here. If you have any questions, please comment below, or email me directly at practicalpronunciation@gmail.com. In June 2014, I had the opportunity to give a 12 minute presentation on a topic of my choice for the ELT Ireland event ELTed. This is a series of talks where ELT practitioners are invited to speak about an area of teaching, CPD, management, or other relevant topics that they are interested in. Each session is recorded an uploaded on to ELT Ireland’s YouTube channel. I decided to speak about the importance of using the phonemic chart and script and making it a natural part of every lesson. I also outlined a few different activities that can be used in class to practise and promote using phonemic script and spoke a little bit about pronunciation goals. Click on the image below to watch my 12 minute presentation. To find out more about ELT Ireland and what they do, check out their website here.